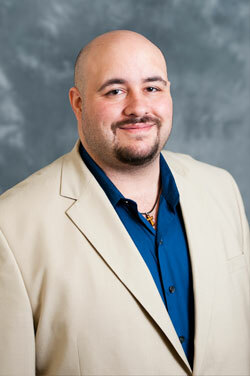 Dr. Davon Ferrara, assistant professor of physics, recently spoke at the Adventure Science Center’s Science Café. The Science Café is a series of informal discussions on current issues in science and provides an opportunity to share opinions, ideas and thoughts with other science lovers and meet local scientists in a fun, casual setting. Ferrara spoke on “Physics and Ballroom Dancing.” He discussed how basic physics concepts can be used to better understand the advanced techniques of ballroom dancing, while relating the theory to the results of a student-driven project using an iPhone to study the physics of cheerleading to make physics more interesting and relatable for students.